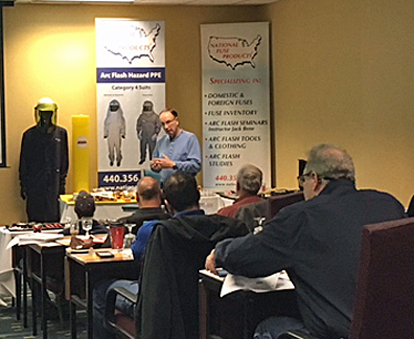 Daito Fuse was founded in 1948 and has been manufacturing high quality fuse products ever since. One of the things that sets them apart is their ability to adapt and utilize the latest and greatest technological innovations, which always keeps them one step ahead of the curve. Daito fuses are used to ensure safety in a wide range of important applications, including communications, computing, measurement, control, CNC machine tools, industrial robots and traffic signals. Daito fuses meet overseas safety standards such as UL and CSA, in addition to Japanese safety standards. Daito fuses offer a highly reliable, plug-in type for easy replacement when the fuse is blown or during maintenance servicing. The internal alarm contact in the fuse is triggered when the fuse is blown, allowing electrical detection of an alarm for alarm-contact fuse types. Non alarm-contact fuses are also available. A blowing indication mechanism allows easy visual confirmation to facilitate checking of blown fuses. Fuse holders are compatible with various mounting methods and Daito fuses are also usable in a large variety of equipment. National Fuse offers a huge variety of Daito fuse products for every project imaginable. When you purchase a fuse manufactured by Daito, you can rest assured that you are receiving a durable and reliable product that is certain to keep your application running efficiently and safely. Browse our entire selection of Daito fuses online 24 hours a day, 7 days a week. If you do not see the part you are looking for, or if you need help selecting the correct fuse, feel free to contact National Fuse and a member of our team will be happy to assist you. Contact us online or by phone at 800-328-0496 to speak to one of our knowledgeable representatives today! .3A 125V FAST FUSE The Daito DM03 fuse is part of the DM series micro‑fuse from Daito. They are socket‑mounted micro fuses designed for printed circuit use. They are compact in size and are superior to glass mounted fuses. The transparent body provides a quick visual indication of the fuse status. 1/2A 125V FAST FUSE The Daito DM05 fuse is part of the DM series micro‑fuse from Daito. They are socket‑mounted micro fuses designed for printed circuit use. They are compact in size and are superior to glass mounted fuses. The transparent body provides a quick visual indication of the fuse status. 1A 125V FAST FUSE The Daito DM10 fuse is part of the DM series micro‑fuse from Daito. They are socket‑mounted micro fuses designed for printed circuit use. They are compact in size and are superior to glass mounted fuses. The transparent body provides a quick visual indication of the fuse status. 1.6A 125V FAST FUSE The Daito DM16 fuse is part of the DM series micro‑fuse from Daito. They are socket‑mounted micro fuses designed for printed circuit use. They are compact in size and are superior to glass mounted fuses. The transparent body provides a quick visual indication of the fuse status. 2A 125V FAST FUSE The Daito DM20 fuse is part of the DM series micro‑fuse from Daito. They are socket‑mounted micro fuses designed for printed circuit use. They are compact in size and are superior to glass mounted fuses. The transparent body provides a quick visual indication of the fuse status. 3.2A 125V FAST FUSE The Daito DM32 fuse is part of the DM series micro‑fuse from Daito. They are socket‑mounted micro fuses designed for printed circuit use. They are compact in size and are superior to glass mounted fuses. The transparent body provides a quick visual indication of the fuse status. .32A 250V ALARM FUSE The Daito GP032 fuse is part of the GP series alarm fuses commonly used in numerical control machine tools, power supplies, instrumentation and control systems, medical and communications equipment. When used with the proper fuse socket an open circuit will enable an alarm circuit. Its plug‑in style makes for simple and safe fuse replacement. 1/2A 250V ALARM FUSE The Daito GP05 fuse is part of the GP series alarm fuses commonly used in numerical control machine tools, power supplies, instrumentation and control systems, medical and communications equipment. When used with the proper fuse socket an open circuit will enable an alarm circuit. Its plug‑in style makes for simple and safe fuse replacement. 1A 250V ALARM FUSE The Daito GP10 fuse is part of the GP series alarm fuses commonly used in numerical control machine tools, power supplies, instrumentation and control systems, medical and communications equipment. When used with the proper fuse socket an open circuit will enable an alarm circuit. The Daito GP10 plug‑in style makes for simple and safe fuse replacement. 10A 250V ALARM FUSE The Daito GP100 fuse is part of the GP series alarm fuses commonly used in numerical control machine tools, power supplies, instrumentation and control systems, medical and communications equipment. When used with the proper fuse socket an open circuit will enable an alarm circuit. Its plug‑in style makes for simple and safe fuse replacement. 15A 250V ALARM FUSE The Daito GP150 fuse is part of the GP series alarm fuses commonly used in numerical control machine tools, power supplies, instrumentation and control systems, medical and communications equipment. When used with the proper fuse socket an open circuit will enable an alarm circuit. Its plug‑in style makes for simple and safe fuse replacement. 2A 250V ALARM FUSE The Daito GP20 fuse is part of the GP series alarm fuses commonly used in numerical control machine tools, power supplies, instrumentation and control systems, medical and communications equipment. When used with the proper fuse socket an open circuit will enable an alarm circuit. Its plug‑in style makes for simple and safe fuse replacement. 2.5A 250V ALARM FUSE The Daito GP25 fuse is part of the GP series alarm fuses commonly used in numerical control machine tools, power supplies, instrumentation and control systems, medical and communications equipment. When used with the proper fuse socket an open circuit will enable an alarm circuit. Its plug‑in style makes for simple and safe fuse replacement. 3.2A 250V ALARM FUSE The Daito GP32 fuse is part of the GP series alarm fuses commonly used in numerical control machine tools, power supplies, instrumentation and control systems, medical and communications equipment. When used with the proper fuse socket an open circuit will enable an alarm circuit. Its plug‑in style makes for simple and safe fuse replacement. 4A 250V ALARM FUSE The Daito GP40 fuse is part of the GP series alarm fuses commonly used in numerical control machine tools, power supplies, instrumentation and control systems, medical and communications equipment. When used with the proper fuse socket an open circuit will enable an alarm circuit. Its plug‑in style makes for simple and safe fuse replacement. 5A 250V ALARM FUSE The Daito GP50 fuse is part of the GP series alarm fuses commonly used in numerical control machine tools, power supplies, instrumentation and control systems, medical and communications equipment. When used with the proper fuse socket an open circuit will enable an alarm circuit. Its plug‑in style makes for simple and safe fuse replacement. 7.5A 250V ALARM FUSE The Daito GP75 fuse is part of the GP series alarm fuses commonly used in numerical control machine tools, power supplies, instrumentation and control systems, medical and communications equipment. When used with the proper fuse socket an open circuit will enable an alarm circuit. Its plug‑in style makes for simple and safe fuse replacement. .3A 250V FAST FUSE The Daito HM03 fuse is part of the HM series micro‑fuse from Daito. They are socket‑mounted micro fuses designed for printed circuit use. They are compact in size and are superior to glass mounted fuses. The transparent body provides a quick visual indication of the fuse status. 1/2A 250V FAST FUSE The Daito HM05 fuse is part of the HM series micro‑fuse from Daito. They are socket‑mounted micro fuses designed for printed circuit use. They are compact in size and are superior to glass mounted fuses. The transparent body provides a quick visual indication of the fuse status. 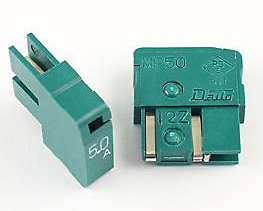 1A 250V FAST FUSE The Daito HM10 fuse is part of the HM series micro‑fuse from Daito. They are socket‑mounted micro fuses designed for printed circuit use. They are compact in size and are superior to glass mounted fuses. The transparent body provides a quick visual indication of the fuse status.